This is possibly the best known and most variable of our native epiphytic orchids. Its range is along the coastal strip from the Hunter River in New South Wales to Rockhampton in Queensland. While it is principally a lithophyte and found growing in large mats on exposed rock faces, it is also found in shady gullies and on trees. 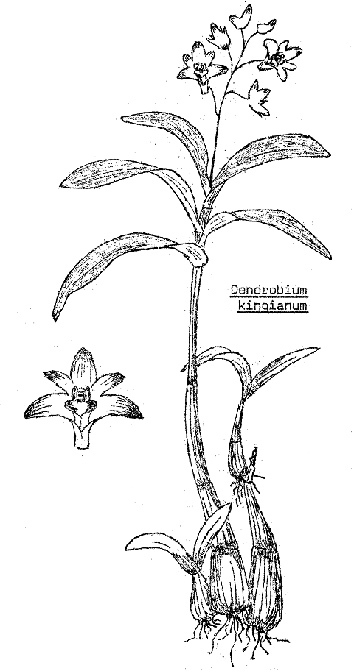 It has three to six lanceolate leaves up to 13 cm long on stems varying from slender stems, pseudo bulbous only at the base, to short stout pseudo-bulbous stems. The pseudobulbs are usually 8 to 10 cm long with some up to 30 cm in length; the colour varying from pale green to dark reddish green. One to three racemes of up to twelve flowers, often fragrant, are borne from the top of the pseudobulbs, the colour, while commonly pink, varies from white to purple. They are up to 25 mm in diameter having the labellum usually spotted and blotched with mauve. The flowering season is August to November. It can be grown on slabs or trees (e.g. Jacaranda or Melaleuca) but locally, best results are obtained from pot culture – rafts or hanging baskets, using an open mix. Some growers use a commercial cymbidium mixture. I have had good results by lining wire baskets with a thick layer of live spagnum moss and filling them with small pieces of seasoned pine bark and charcoal. I find that the plant not only grows up but also out of the sides of the basket. Some shade is required in our summer I have had success using 50% shadecloth. Protection from our winter frosts is also necessary. Fertilise lightly in the growing season using commercial fertilisers at half strength. Being hardy it is well suited to cultivation and hybridisation. D. x delicatum is a natural hybrid of D. speciosum and D. kingianum, also D. x suffusum is a natural hybrid of D. gracilicaule and D. kingianum. Propagation is either by division or cultivation of “keikies”. *The number of hybrids has increased since 1983. 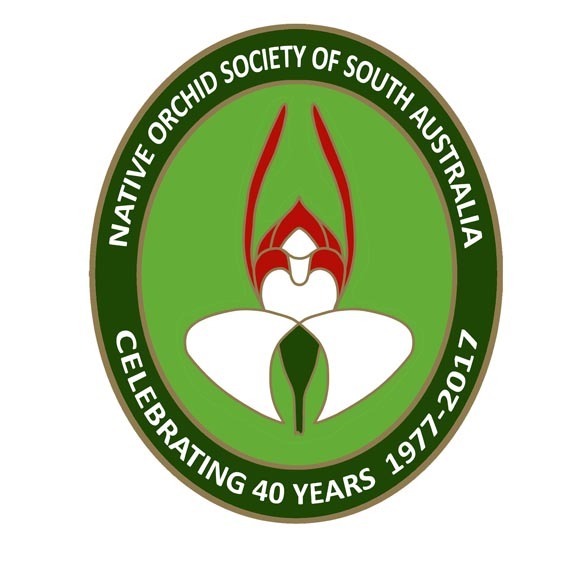 This entry was posted in Growing Epiphytes/Lithophytes and tagged Adelaide, Australian orchids, D. Bardo Rose, D. Ella Victoria Leaney, Dendrobium delicatum, Dendrobium falcorostrum, dendrobium garcilicaule, Dendrobium kingianum, Dendrobium speciosum, Dendrobium tetragonum, epiphytes, Growing Ephiphytes, Native Orchids, orchid, Pink Rock Lily. Bookmark the permalink. 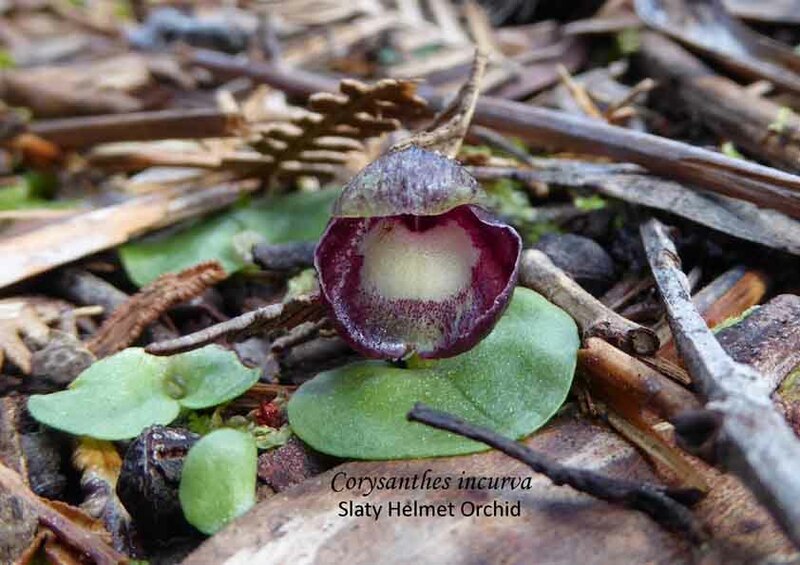 ← Australia’s Most Popular Orchid?